Mike Mularkey coached two full seasons at the helm of the Titans and earned back-to-back winning records and a playoff victory. The journeyman coach inherited a young team with a rookie quarterback and watched it mature and blossom into a legitimate contender not only for the AFC South title but even the Super Bowl. He was then axed in favor of Mike Vrabel. In a division with Jacksonville, who reached the AFC championship game, and the improved Texans, Vrabel and the Titans surely have a tough road ahead of them if they are to return to the playoffs in 2018. Keeping their key players and filling the few holes they had, football bettors will enjoy that the Tennessee Titans betting odds will be very similar to last year’s and that there is not a lot of new information to process when evaluating this team. In a year that the Titans took a major step forward and won their first playoff game in fifteen years, their leader Marcus Mariota took a big step backward. The former Oregon Duck threw for thirteen less touchdowns in 2017 than 2016 and had a passer rating sixteen points lower. On one hand, it is optimistic that the Titans played so well despite this regression. On the other, Titans fans realize that they will need Mariota to play at a high level if they are to succeed, moving forward. Helping Mariota’s case for a bounce back season is the fact that the Titans have retained their top two receivers from 2017, Delanie Walker and Rishard Matthews. The bad news - Team rushing touchdowns leader DeMarco Murray is no longer on the roster. The good news - Team leading rusher Derrick Henry is back along with the former Patriot Dion Lewis to take Murray’s place. Henry and Murray split carries and yards relatively evenly in 2017, combining for great production and an excellent complement to Mariota’s arm. Since the signing of Lewis, hype has been generated that he and Henry can be an even better two-headed attack than last year’s duo. Coming off of back-to-back nine wins seasons, expectations are higher in 2018 for the Titans than they have been in quite some time. Despite these lofty expectations, Vegas has not bought into the pride of Music City as the Tennessee Titans betting odds for winning Super Bowl 53 sit at 50-1, which places them in the middle of the pack. Here at SkyBook, we pride ourselves on being the best NFL sportsbook for all your football betting needs. 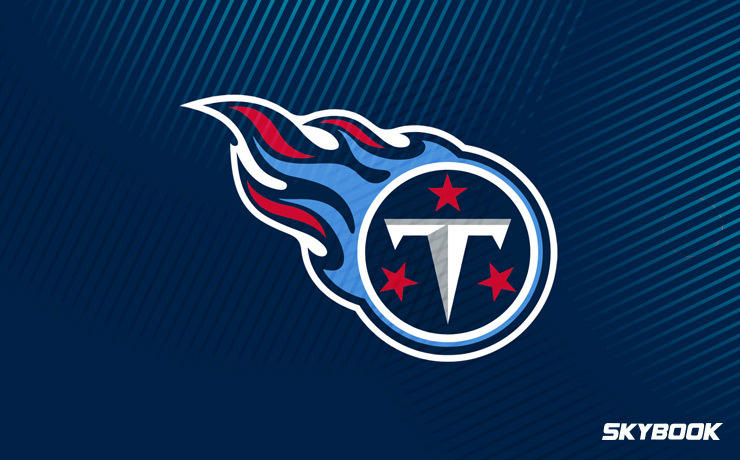 If you want to bet on another playoff victory for the Titans this season you can get game analysis, matchups, and injury reports right here in one place. Will this be the year that Mariota puts it all together? Can Dion Lewis join Derrick Henry to become the best running back duo in the NFL? Put your money where your mouth is. We offer the best Tennessee Titans betting odds along with great bonuses that you will not find at any other sportsbook.